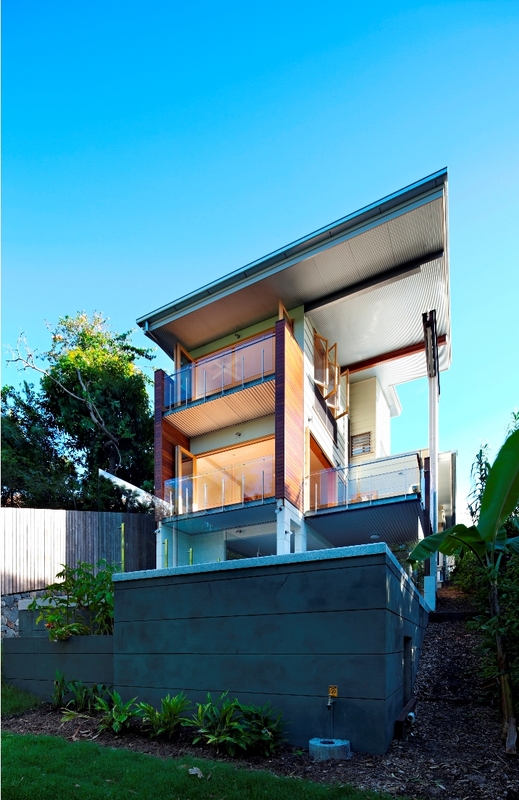 If you’re not familiar with the Australian architecture scene, then you probably don’t know Bligh Voller Nield. You’re unlikely to know Andrew Maynard. And odds are you never heard of Glenn Murcutt, winner of the 2002 Pritzker Prize (perhaps the most prestigious in architecture) and 2009 AIA Gold Medal. The point is that Australia is a hot-bed for good design. If you don’t believe us, pick up a copy of Next Wave: New Australian Architecture or New Australian Style. I was recently forwarded this very cool project that carries on the tradition of progressive design in the land down under. 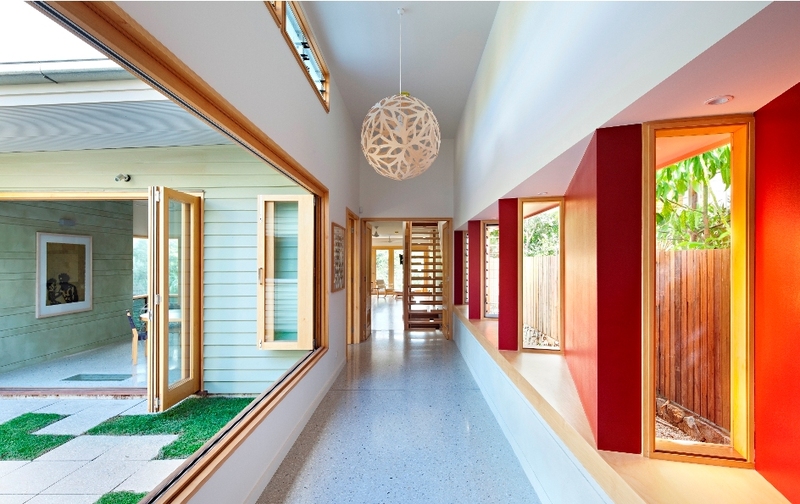 This one, Hill End Ecohouse, is by Queensland-based Riddel Architecture, and what’s exceptional about the project is that it was made from recycled products. All additional materials, the architecture firm says, were locally sourced to reduce the carbon footprint. The architects deconstructed material from a 19th Century house (discarding only two small skips of non-reusable materials), and then used those materials throughout the home. Strategically placed windows and doors capture cool breezes and daylight, and a gallery breezeway connects the two wings as well capture and funnel fresh air. The large windows also reduce the need for artificial light. 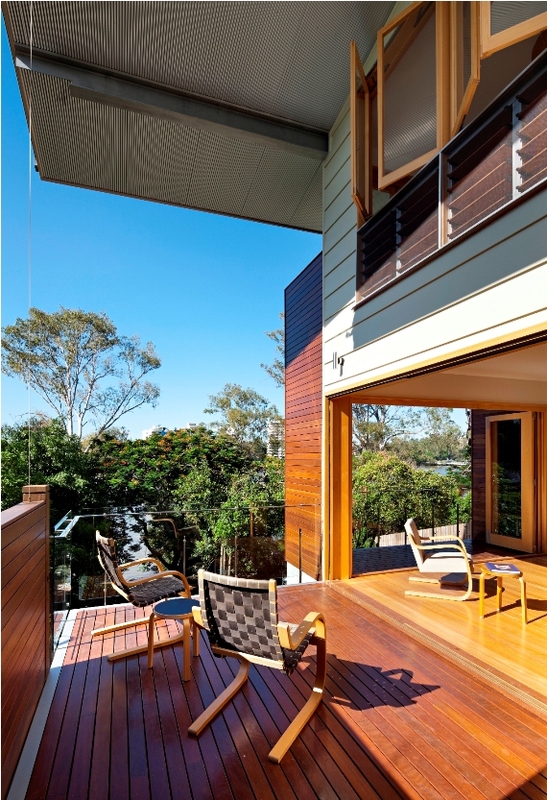 Located near a river in inner Brisbane, the house is a model of self-sufficiency: It has a monitoring system to measure the use of energy, gas and water as well as temperature and humidity. 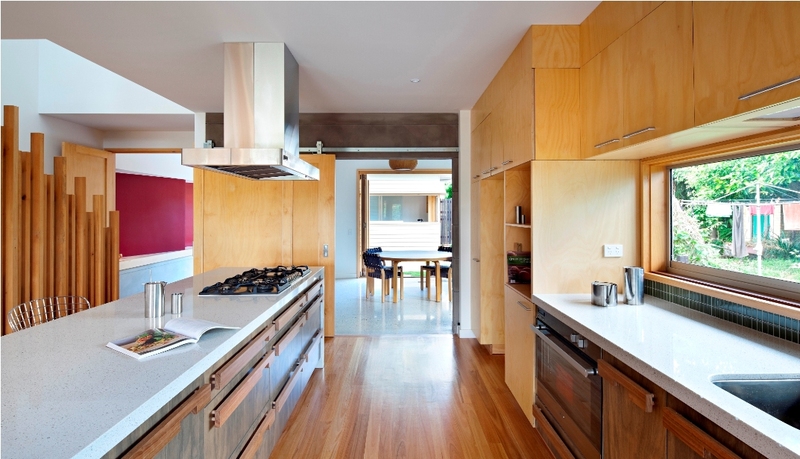 “This system also provides a carbon footprint for the house,” the architects say. “The north-facing roof has 3 [kilowatt] photovoltaic panels which generate 15 [kilowatt/hour per day], ample energy for household requirements,” the firm says. 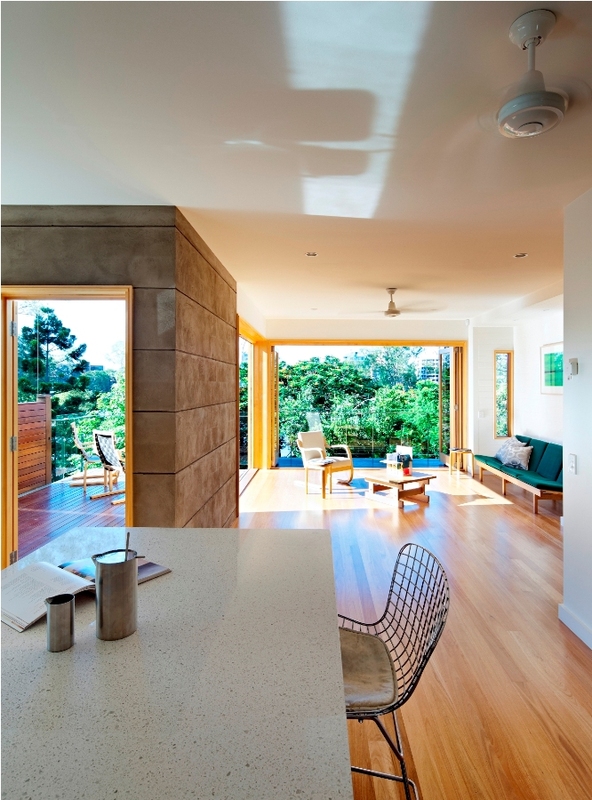 The house is well-insulated with recycled polyester and uses timber frames to reduce heat transfer. It is properly sited so the home’s polished concrete floors absorb sunlight during the day and radiate it at night to warm the home. An efficient gas fire provides winter heating to the southern living space, where solar heating is not possible. And finally, the building and windows have light-colored finishes to increase the reflection of daylight and generous awnings provide protection from the sun and rain.